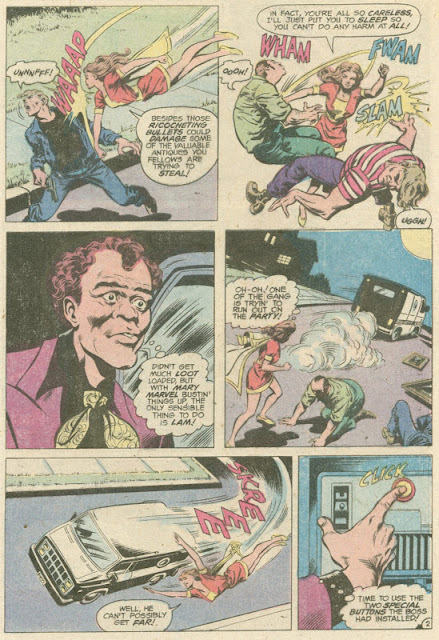 By request, here's a cool and classic SHAZAM! short from the underrated-yet-awesome team of E. Nelson Bridwell and Don Newton (with inks by Dave Hunt). 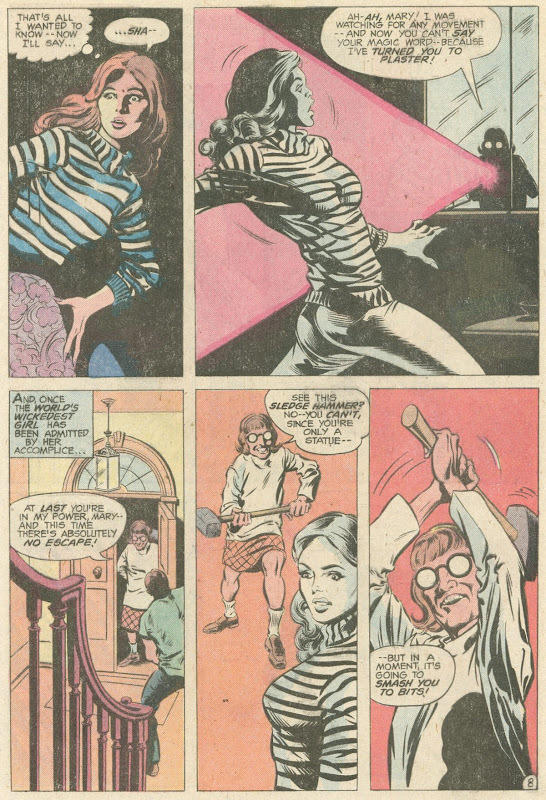 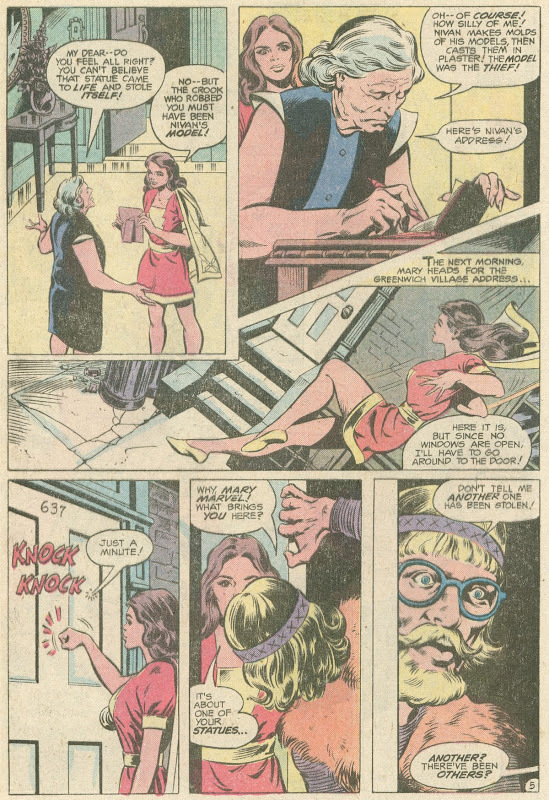 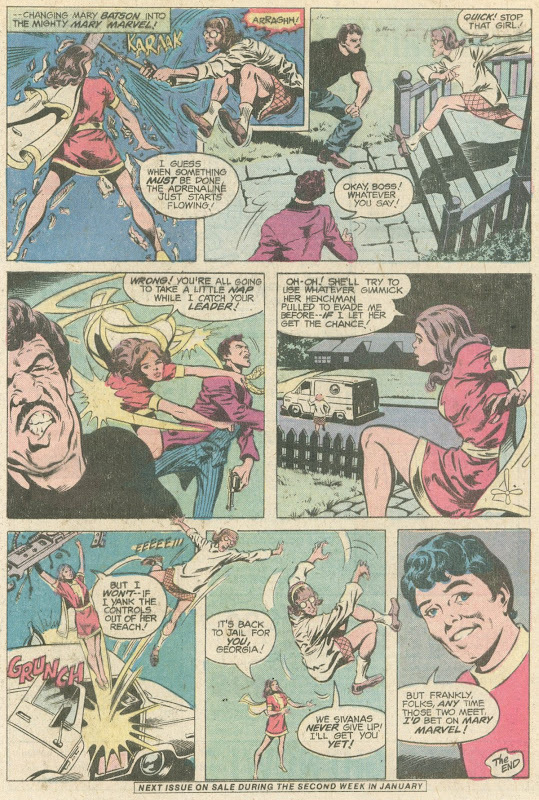 In this terrific tale, Mary Marvel takes the spotlight, allowing Don to show off how well he draws pretty girls! 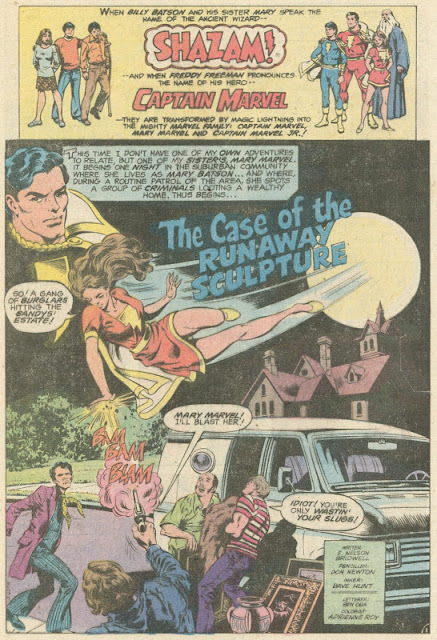 From World's Finest Comics #261 (December 1979) here's "The Case of the Runaway Sculpture"! I loved Don's Shazam art. 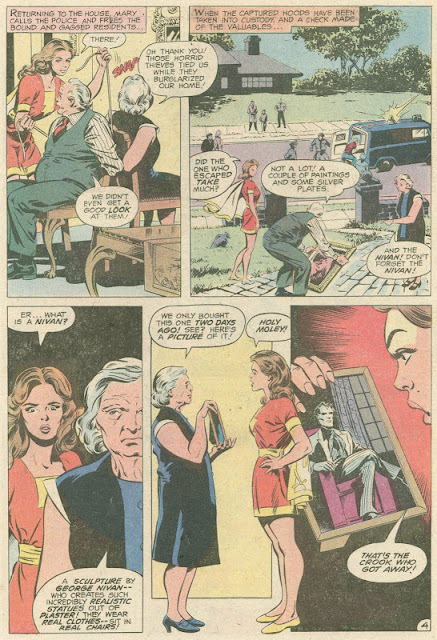 He left us way too soon! Sigh! SHAZAM! Newton knew how to draw beautiful women. 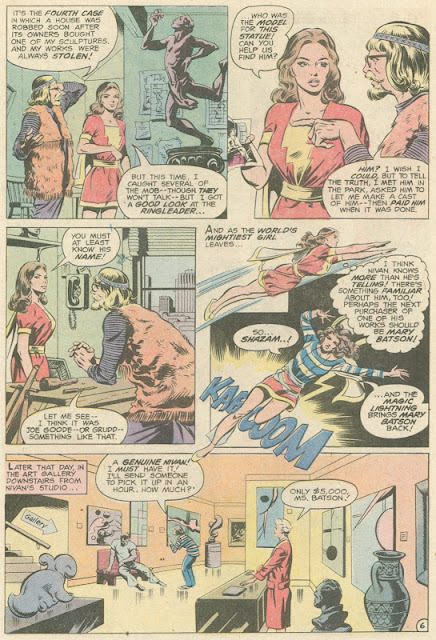 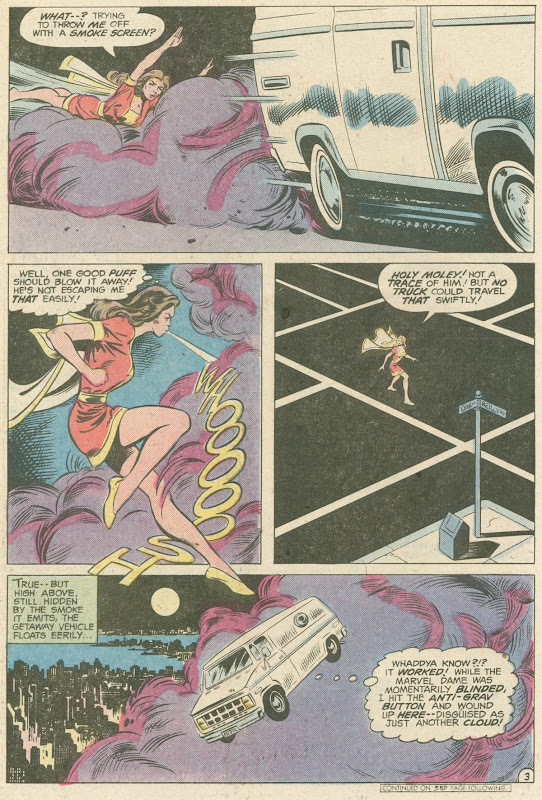 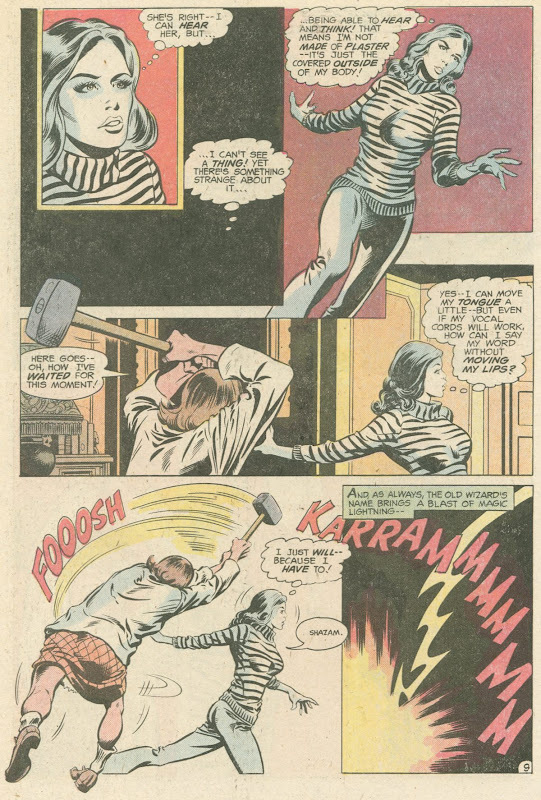 My favorite in this series was one where Mary Marvel teamed up with BulletGirl to fight an attractive villainess who had hypnotized Cap and BulletMan. 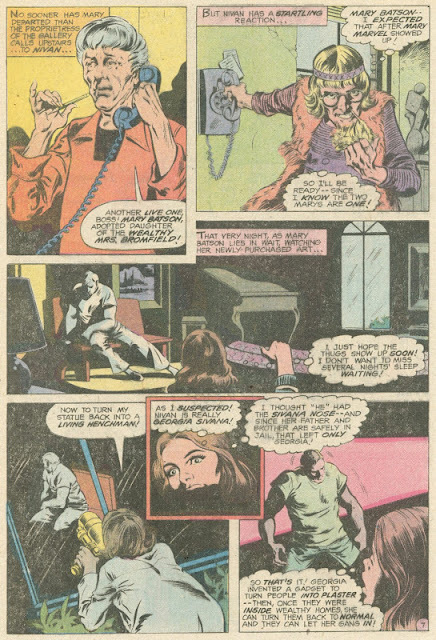 Rich Buckler's New Column Debuts Tomorrow!